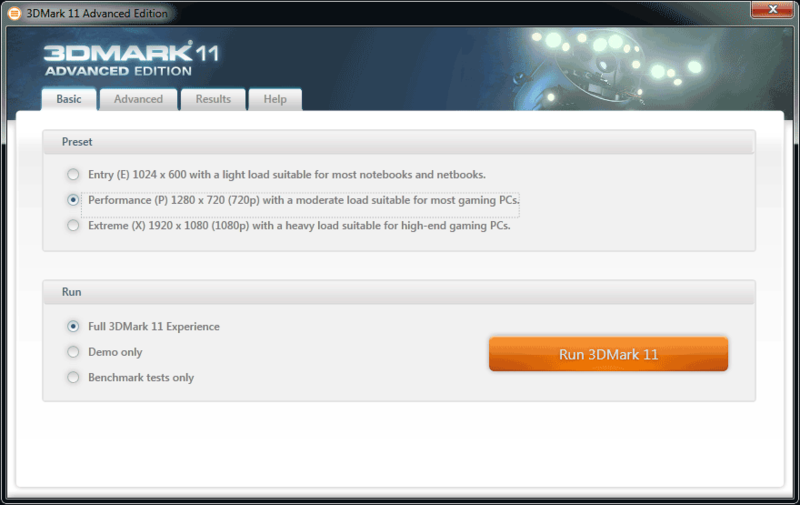 Today 3DMark 11 benchmark suite has become available for download. We, as the lucky owners of 3DMark 11 Advanced version, decided to get acquainted with the new benchmark for graphic cards. Designed to measure your PC’s gaming performance 3DMark 11 makes extensive use of all the new features in DirectX 11 including tessellation, compute shaders and multi-threading. Entry (E) group settings are dedicated for Netbook and Notebook benchmarking, 1024×600 screen restitution is selected in reference with group assignment. Performance (P) group settings are for performance evaluation of major part of Desktop computers with basic screen resolution of 1280×720 (720p). The third group Extreme (X) sets 1920×1080 (1080p) screen resolution. This test has the heaviest load suitable for high-performance. 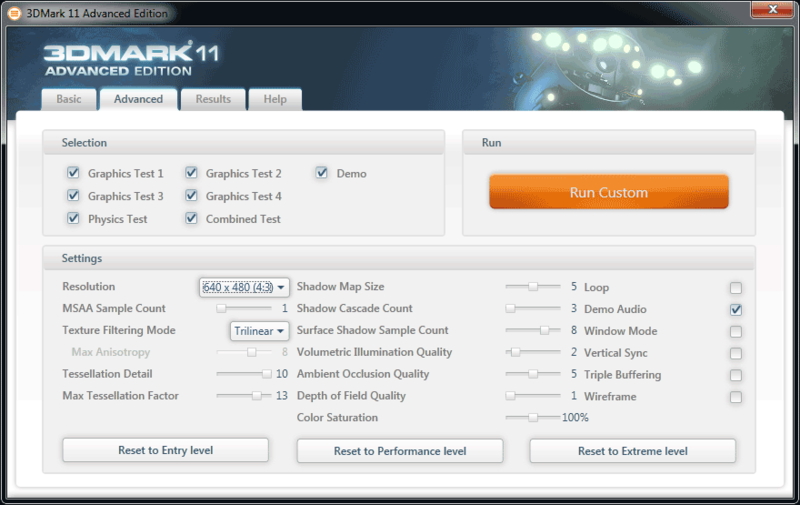 Select testing mode in the lower part of the benchmark window and hit “Run 3DMark 11” button. Deep Sea is the main and the first scene in 3DMark 11. You can watch it in the video below. The test does not include tessellation, however, it includes heavy lighting with several shadow casting lights. The second test uses the same scene featuring medium tessellation but the amount of lighting is sightly reduced. The same scene is used in the fourth test. This time heavy tessellation coupled with many shadow casting lights are used as graphics load. The testbed runs on has Windows 7 64-bit operating system and the latest suitable VGA driver was used, namely NVIDIA GeForce/ION 260.99. The cards scored 4406, the average FPS could not get pass 26, while it could not reach 20 frames/sec in majority tests. The result is 1370, the frame rate during tests had reminded me of turn-based strategy. This concludes our firs encounter of 3DMark 11. We understand the complexity of tests — benchmark results are targeted ahead since current generation of mid-end graphic cards are not able to cope with the complexity built into these tests. We can only guess, what can be expected in future games, for example, Crysis 2.